The $5,900 SESI Grant was given to MATURANAHAUS Emmendingen in order to support educational training for the staff members. The whole staff was very pleased and grateful to receive this support, which gives some of us the opportunity to learn new tools for the development of our work, and also helps new staff members to get well trained. We are still engaged in an intensive process of developing our educational approach for the school so everybody is very happy about this. We started a process of sorting everything out at the beginning of the academic year. Things take their time because some of the training only takes place once a year or every second year, and often they are already fully booked. For the Montessori training we found an opportunity for two staff members to enrol for a "Akademie Biberkor" training that will start in September 2019. The procedure of registration is going on at the moment. One of our staff members is still looking for a suitable opportunity to train in Outdoor Education. 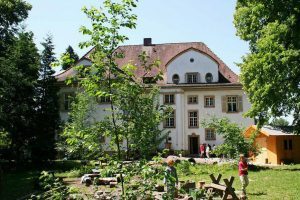 He will probably take part in a course given by either "Forstliches Bildungszentrum Karlsruhe" or "Aventerra Erlebnispädagogik", in order to learn new outdoor skills and educational background. will took place from February 22 to 24, 2019, in Regensburg. I will collect all payment documents and send them with the second report in summer. share with the whole team when they come back to school.